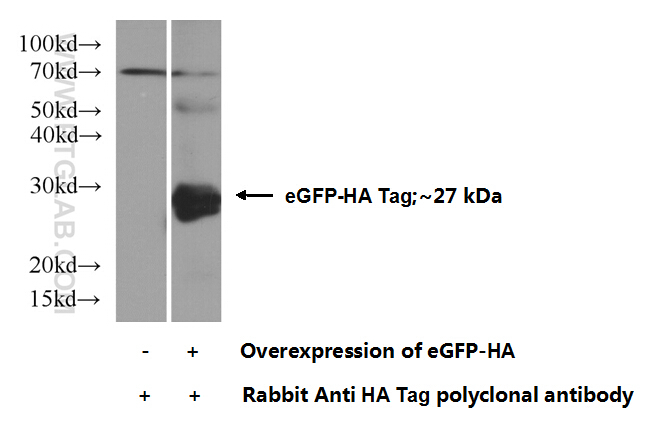 Western blot of HA-tagged fusion protein with anti-HA-tag (51064-2-AP) at various dilutions. 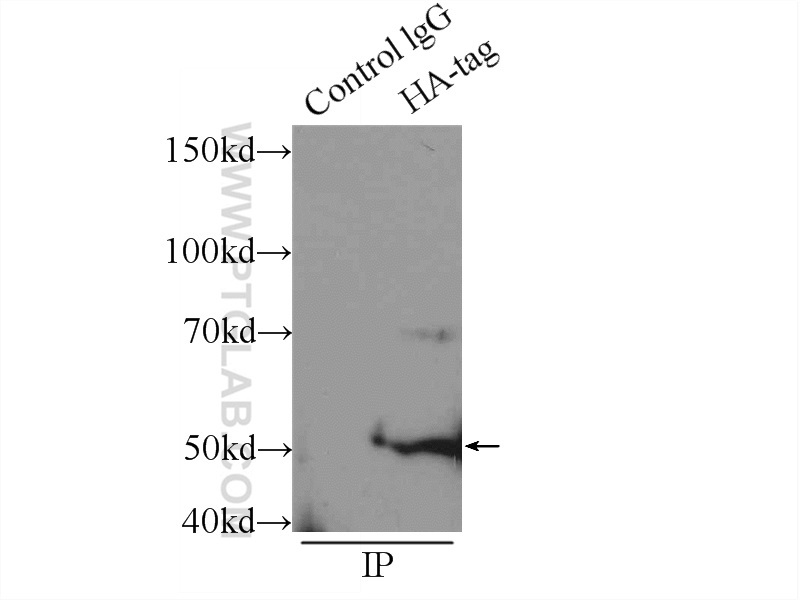 IP Result of anti-HA tag (IP:51064-2-AP, 3ug; Detection:51064-2-AP 1:2000) with Transfected HEK-293 cells lysate 500ug. Pericentrin contains five NESs and an NLS essential for its nucleocytoplasmic trafficking during the cell cycle. 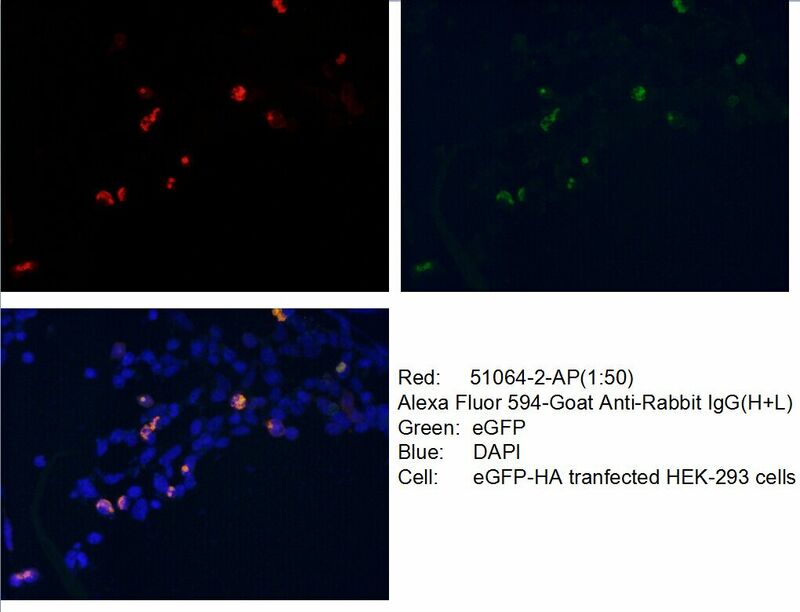 Histone acetyltransferase p300 promotes MKL1-mediated transactivation of catechol-O-methyltransferase gene. 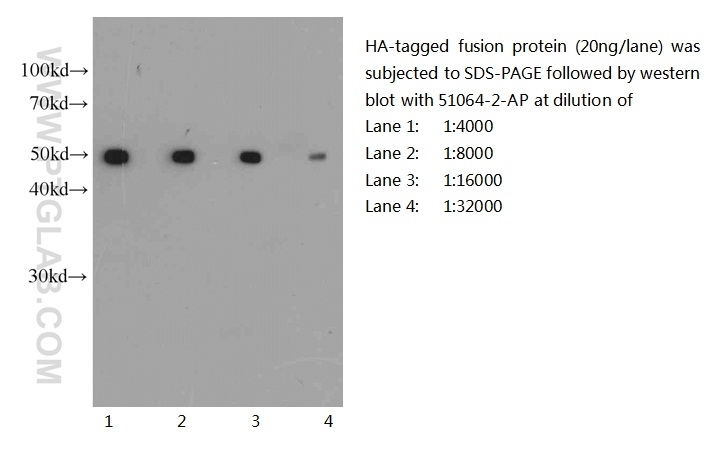 Protein Disulfide Isomerase Interacts with Tau Protein and Inhibits Its Fibrillization. The self-interaction of a nodavirus replicase is enhanced by mitochondrial membrane lipids. Edwardsiella tarda-induced cytotoxicity depends on its type three secretion system and flagellin.